Through Liberty Ranch Parent, Teacher, Student Association membership we support students, staff, and the parents of Liberty Ranch High School while encouraging school community involvement and communication. Thank you for getting your Legacy Brick orders in; we will let you know when they are installed. Disneyland Trip Seniors- The Disneyland list is posted in room 402. If your name is not on it, you need to see Mrs. Jordet or Mrs. Schroeder in room 402. Ticket Sales for Senior Celebration '16 (Bay cruise) have now closed. SMUD Summer Internship, Paid SMUD Summer Internship, Paid Smud is offering qualified high school juniors and seniors a paid summer internship. Students must be 16 years old, have a minimum 2.5 G.P.A., have transportation to Sacramento, and must be able to work between June 27th and August 2nd. All applications must be received by 5:00 PM May 6th. Pick up a flyer in the career center, or the counseling office. Students who are in need of assistance in completing their community college application, orientation, or assessment, PLEASE go to the Career Center for guidance. Time is running out to secure priority registration and students need that to secure core classes. The Career Center is open Tuesdays & Thursdays 7:30-4:00, and Friday afternoons. The Top Ten of the Senior Class of 2016! Scott, Luis, Eric, Mary (Valedictorian), Kyle, Vicki, Zack, Hayley (Salutatorian), Jeff & Michael. Kyle is going to the Air Force Academy, Scott to UCLA, Jeff & Luis will be UC Davis Aggies, Hayley to UC Santa Barbara, Mary to San Jose State, Vicki & Eric to Cosumnes River, Zack to Sac State and Michael is going to Culver-Stockton way out in Canton Missouri. Way to go Hawks! Several of our Hawks are on the Galt Youth Commission, so we are excited to share this poster of their event with you. They are still in need of submissions- here is the registration form. From the website: The Galt Joint Union High School District is pleased to announce the selection of two outstanding principals for its comprehensive high schools. At Liberty Ranch High School, Mr. Joe Saramago, who currently holds the role as interim principal, will assume the role of principal. At Galt High School, assistant principal Mrs. Kellie Beck has been promoted to principal. Both principals will assume their roles officially on July 1st 2016. We pulled winners from everyone who became a member by Sep 2. The LRHS PTSA has been working to try and find folks who would be interested in serving on the LRHS PTSA 2016-2017 Board as an Officer. As of right now, we have ZERO candidates, so we have begun the disbanding process with our 3rd District reps. The new custom mat PTSA bought for the lobby of the school. Design by Julio Roque, 12th grade. After meeting with and surveying teachers, students, parents and community members, holding public hearings, and working with individual departments to identify the schedule that best meets student’s instructional needs, the Galt Joint Union High School District plans to implement an A/B hybrid block schedule for the 2016­/17 school year. The rationale for moving toward a block schedule is to maximize student access and opportunities to meet college A­G requirements, participate in career technical education, and receive the necessary support and acceleration classes in order to ensure all students are college and career ready. A block schedule provides the foundation for ensuring not only that all of our students will access rigorous college preparatory classes but also the career technical educational pathways that prepare them for success beyond high school. With initial schedules completed, ninety percent of our students’ course requests were satisfied. This percentage represents an increase in students’ access to core and elective classes of their choice over prior years. The District is in the process of inviting students to review their 2016/­17 course requests and to make any individual adjustments between now and mid­-April. We anticipate that teachers and students will begin summer with their 2016/­17 schedules in hand. What is an A/B Hybrid Schedule? In an A/B Hybrid Schedule, the school year is divided into two semesters and the school day is divided into four instructional blocks of 90­minute periods. Some of the classes are on an A/B schedule, which means they are taught every other day, while others are on a 4x4 schedule and are taught daily. A/B courses run all year long and 4X4 courses run for one semester. In the compacted timeline of the 4X4 class, an entire year’s curriculum is taught in a single semester. The following types of classes will be taught mostly on an A/B schedule: Agriculture, AVID, Leadership, Link Crew, Yearbook, performing arts, many Advanced Placement classes, and some world languages. The following types of classes will be taught mostly on a 4X4 schedule: All academic core classes (English language arts, mathematics, science, and social science, with the exception of most of the Advanced Placement classes), physical education, fine arts, BEST Academy, and information technology. There are some exceptions to the listings above based upon the individual class needs. For example, Ag Diesel courses are run on a 4X4 because there are only fourteen stations and staff wanted to increase access to these courses for students. How do I Make Sure my Child has the Right Classes? An auto­dialer reminder was sent to families on April 5 requesting that they review their student’s course list and contact the school counseling office no later than April 15 if they would like to make changes in their course requests. To check your student’s course requests, please visit powerschool.ghsd.k12.ca.us, login, and click the link for course registration. You will see your student’s 2016­/17 course selections. The course list showing what classes will be taught next year can be found on each school’s website. Students who wish to make changes in their choices should be sure to contact their school counselor by 3:00 p.m. on April 15, 2016. Mural on library wall, welcoming students, staff and visitors to LRHS. Sponsored by PTSA. Calendar- We use Google Calendar. Click the + in the bottom right corner to add the PTSA calendar to your others or from if you are signed into your personal Google calendar you can add this one with the link: calendar. You will see immediate changes and can get notifications sent to your phone! We challenge you to take these 3 steps to make 2015-2016 an amazing year! Membership is just $5, join. Meetings are once a month, come. Volunteer 1 hour per year. 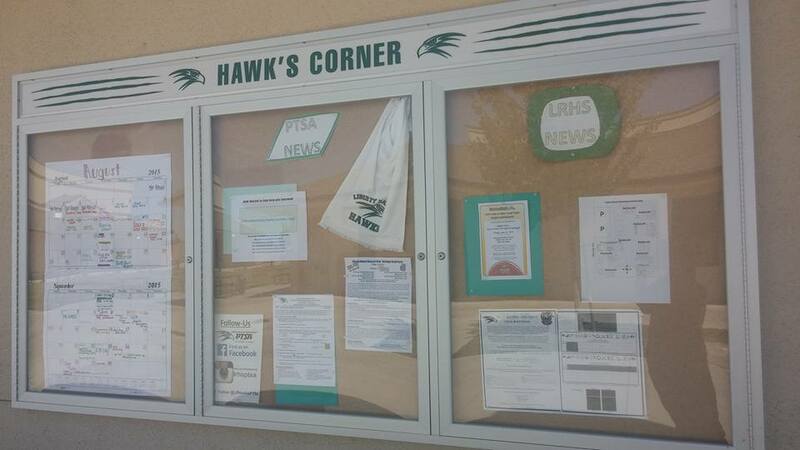 Don't forget our Hawk's Corner (bought by PTSA) is on campus, on the outside wall by the library. It is a GREAT place to find information. Leadership has added a club calendar, plus you will find school events posted as well as PTSA fundraisers, activities, and news. The location is perfect for parents, students and staff! Sept. 15 Benefits 2016 All Night Grad Party SUCCESS!! Oct. 20 Benefits 2016 All Night Grad Party SUCCESS!! Nov 1 Benefits PTSA General Fund SUCCESS!! Make Sure Liberty Ranch is part of your Raley’s Rewards! We love our money from Raley’s, and you don’t have to do any extra work! We earn hundreds and hundreds of dollars…it really helps us continue those PTSA traditions like Honor Roll Celebrations. Ø Log in to Raleys.com, make sure you have signed up for Something Extra Rewards. Click there to update your schools and their percentages! 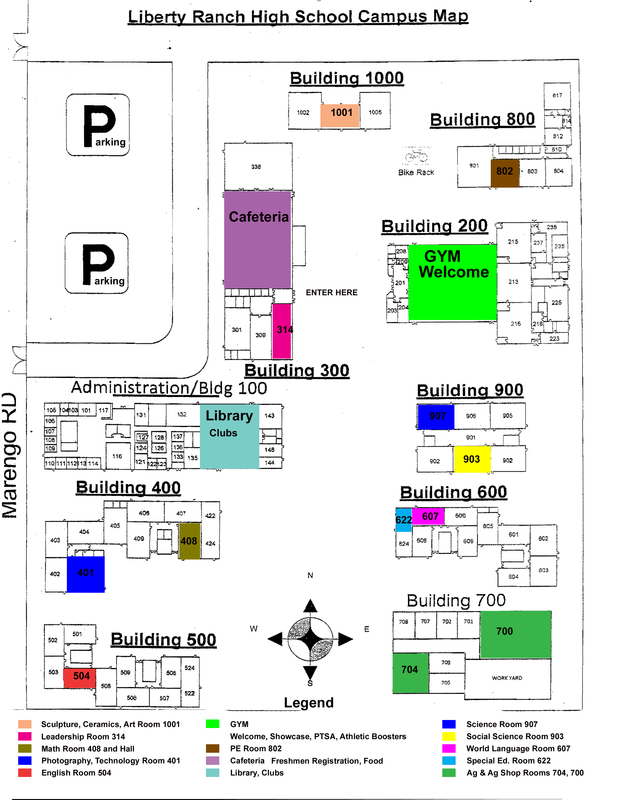 All general meetings are held in the library unless otherwise noted.